Sample Sale | Welcome to the Fresh Blog! Our first sample sale! Sue Rau has traveled extensively through out India and has gathered a collection of incredible wool scarves and shawls. We are thrilled that Sue has allowed us to make these available for our select customers. 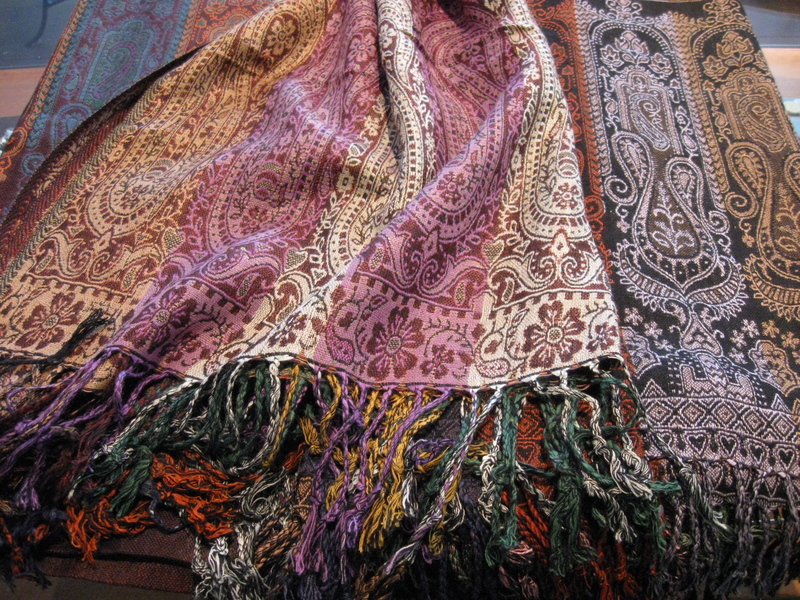 Hand woven by village cooperatives in India, rich with detail, in a rainbow of colors these scarves and shawls would normally retail for over $100.00! Just for you, our samples will be priced at $45.00 and under! Selection is limited so shop early while supplies last!